The use of gabions is an effective solution to combat erosion and to stabilise and strengthen embankments, which has been in evidence for many years. 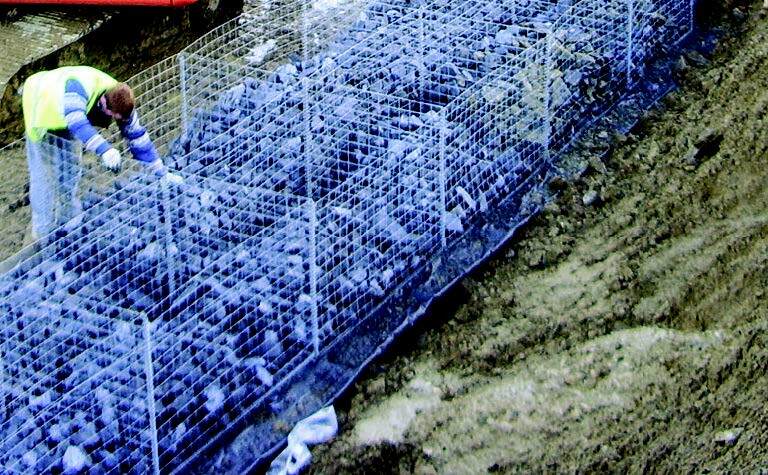 Gabion mattresses are manufactured in the same way as gabions, however the plan area is large in comparison to their depth, typically units are a maximum of 300mm deep. The purpose of a mattress unit is to provide protection on water courses and coastal revetments against scour and erosion. Mattresses are also used in conjunction with gabions as a scour protection to prevent undermining of gabion retaining structures in coastal or river applications and as a foundation. Filled with local stone they blend in with the local surroundings and unlike concrete or other solid structures they allow vegetation to flourish, reducing the visible impact and enhancing the natural landscape.